Ready for a brilliant brunch idea or a healthy grab & go snack to stock the fridge? Cauliflower Frittatas are vegetarian, gluten-free, protein packed and simply scrumptious. Easy to make and easy to store. Eat these instead of high sugar protein or breakfast ‘bars’! 1. 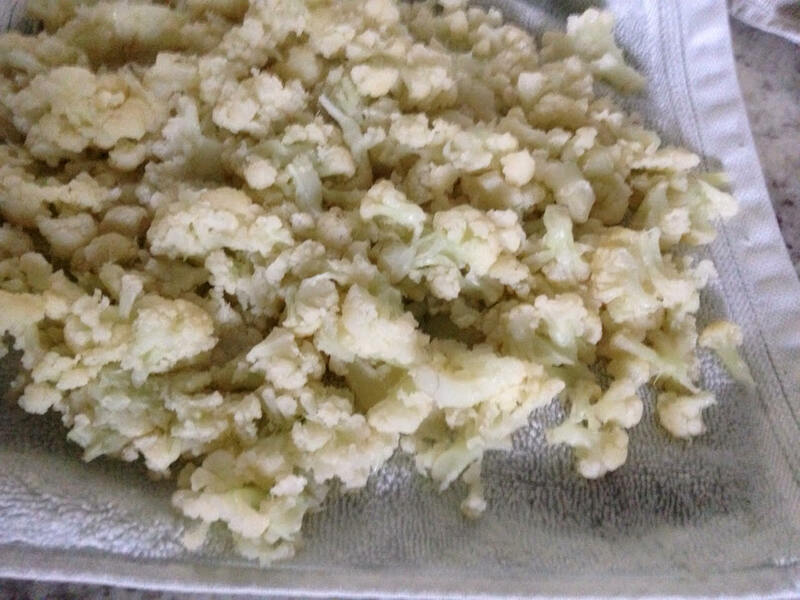 Boil a head of cauliflower until soft (~5 minutes); strain and chop cauliflower on a towel, which can then be used to soak up extra moisture. 3. Add in cauliflower to mixture and pour evenly in to 12 muffin pan slots.